Just about everyone who uses a desktop computer uses a mouse of some kind. It’s become an indispensable piece of technology that we just couldn’t live without. It wasn’t always so, though. 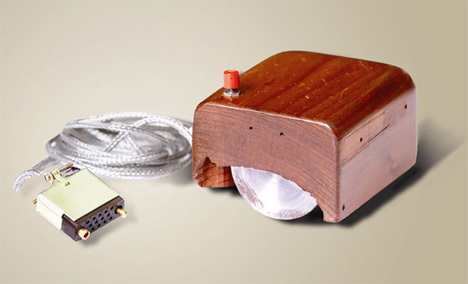 The mouse was invented in 1964, and the first one was little more than a block of wood with a single button. Since then, the mouse’s overall design hasn’t changed much, but its form certainly has. 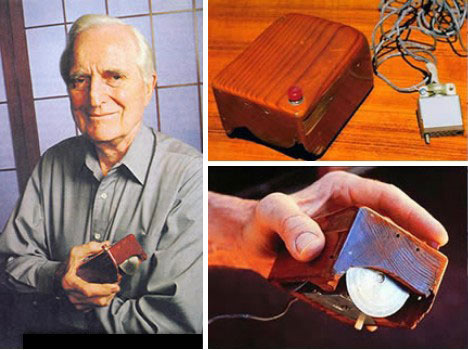 Douglas Engelbart created the first computer mouse: the blocky wooden contraption above. He was working at Stanford Research Institute at the time, devoting most of his energy to a project that he felt could help to augment human intellect. His project was, in essence, the first iteration of the Internet. 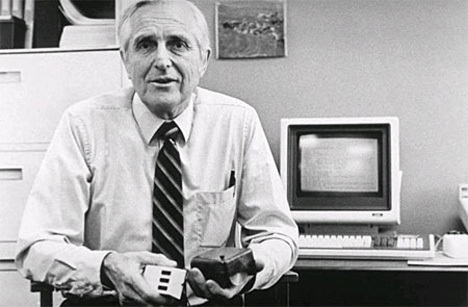 Engelbart and his lead engineer, Bill English, received a patent in 1970 for their “X-Y position indicator for a display system,” which was nicknamed a “mouse” because the tail coming out of the back resembled an actual mouse. But at the time, personal computers were still years away. The Stanford Research Institute licensed the invention to Apple for a small amount (reportedly around $40,000) and Engelbart never received any royalties for his invention. However, in 2000 he did receive the National Medal of Technology for developing the mouse and helping to develop hypertext, both of which helped to usher in the age of personal computing. See more in History of Tech or under Vintage & Retro. December, 2009.